Pensao Modelo v Lisabon, Portugalsko: Zarezervujte nyní! 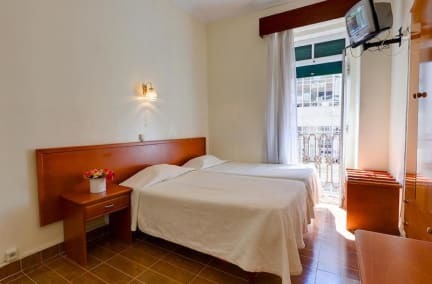 Pensao Modelo is located in heart of Lisbon and near of the three Central Train Terminals form international arrivals (Santa Apolonia) and to Cascais and Sintra. 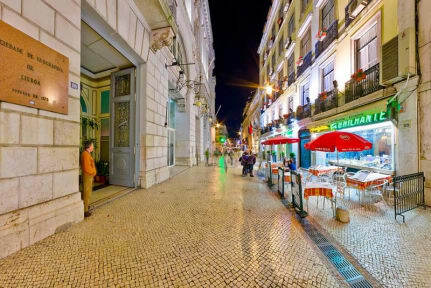 Just 2 minutes walk from Rossio (heart of the city) with lovely restaurants, shops, cultural attractions and much more. All rooms are spacious, comfortable and equipped with television. The prices are very good for the quality. Taxes not included - according to the Municipal regulations of Lisbon it will be due an Overnight Tax of 1€ per night / per guest over 13 years, up to 7 nights stay. A big mistake for this price, a room with a small window going out to a small wet yard stinking with the air-con gases from the downstairs restaurants - no view, not fresh air, no warming devices - in Feb it was still cold and wet air inside. Dirty curtains, paint falling of the wallsm and breaks in the power supply. The only pluses are really well central location, clean bed sheets and towels and (thanks God this at list not missing) hot water available.